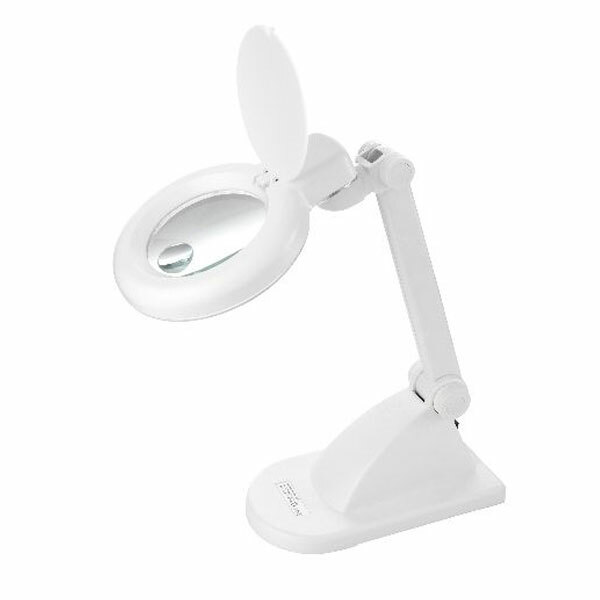 This compact, economical magnifying lamp is the perfect tool to give you the boost you need for performing tasks at work or enjoying hobbies at home. The combination of the 12w Full Spectrum Naturalight tube and the 3.5" diameter, 1.75x magnifying lens (with a 1" diameter, 4x inset lens) will allow you to see details like never before. Plus, the adjustable arm lets you position it exactly where you need it. No more squinting, no more headaches!